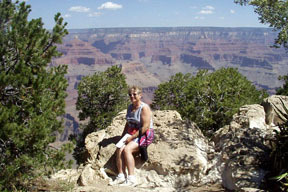 This was our first view of the Grand Canyon. The view just seemed to keep getting better. 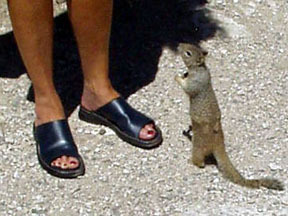 There were lots of little beggars, but the signs said don't feed them (I saw people doing it though). Another great view. I took endless pictures, but none of them did justice to the actual view. 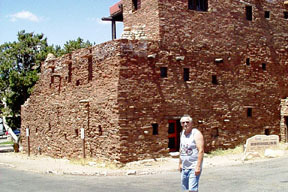 Hopi House where the Hopi Indian dancers lived. They used to entertain the guests with their dances. We saw some Indians, but missed the dance time both coming and going. 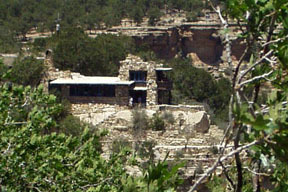 This building was built in 1914 and blends in with the cliffs. It is a gift shop now. 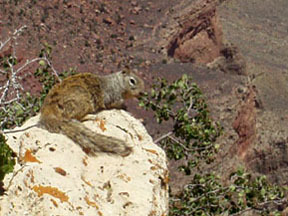 This squirrel was sunning himself on the edge of the cliff. 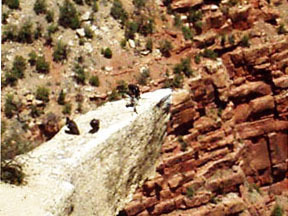 Couldn't catch the Condors in flight, but got these resting on the cliff. 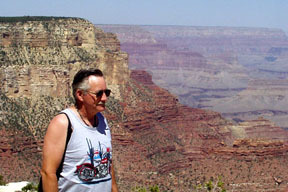 There are 65 Condors in the Grand Canyon. They are very endangered. 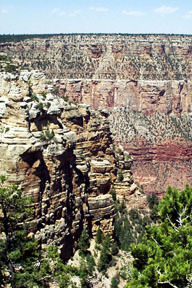 I was told the first Condor raised by wild parents (in the last 20 years) occurred here just last year. 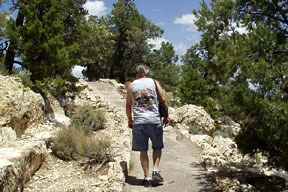 The trail surface was very even and smooth. There was only moderate hills. Great walking. 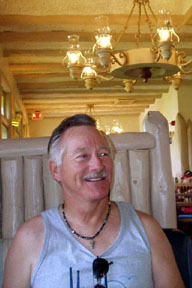 We stopped at the El Tovar Hotel dining room for lunch on our way back. Service was a little slow (they were very crowded), but the food was good. 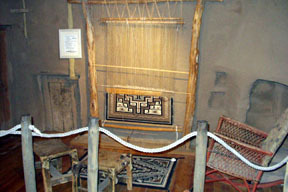 We went inside the Hopi House on the way back and saw this demonstration of the way they wove rugs.